West End’s newest boutique development – The Glass Factory – has delivered an opportunity to crack into the tightly held retail market that’s a cut above the rest with the release of a brand new retail precinct. West End, a vibrant lifestyle precinct just a short walk from Brisbane’s CBD, boasts near constant day and night life activity, which is expected to grow amidst latest research from Urbis reporting Inner South apartment sales in the last quarter of 2013 to have more than doubled on the previous quarter. “A strong residential supply forecast for inner Brisbane is expected to drive consumer sentiment and retail growth.” Mr Aikman said. Unlike residential buyers, retailers face far greater competition to secure space in West End. The hub is made up of tightly held retail with very limited vacancy and, where available, mostly in older buildings. Boutique developments like The Glass Factory, which is due for completion at the years end, present a rare opportunity for retailers to operate not only in the highly sought after area, but also within a brand new development. 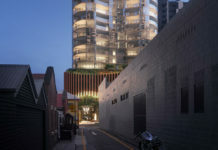 A mixed-use residential, commercial and retail development, The Glass Factory Boutique Retail provides a unique opportunity to buy or lease one of eight strata retail tenancies ranging in size from 32m2 to 158m2. Positioned between the popular shopping and dining strips of Boundary Street and Hardgrave Road, Vulture Street has always been an active thoroughfare for residents, workers and visitors alike, exposing retailers at The Glass Factory to a high volume of traffic. 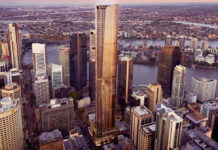 The development, led by award winning Queensland based Turrisi Properties, has already sold out its residential component, and is now preparing to secure a range of dynamic retailers. Turrisi Properties Managing Director Gary Turrisi said the unique retail offering is much anticipated amidst the rapid residential growth in West End. “On the back of the growth we have seen in Brisbane’s inner city residential markets over the past 18 months and with buyers now looking for a true village lifestyle, Brisbane’s inner retail markets are primed for growth,” Mr. Turrisi said. “West End and South Brisbane are traditionally tightly held retail markets, The Glass Factory Boutique Retail offers business owners the chance to secure their roots in one of Brisbane’s most vibrant lifestyle hubs, whilst also taking advantage of future growth.” Spanning three street frontages, with off-street visitor parking, The Glass Factory is perfectly suited to anything retail – from a hole in the wall espresso bar to a grocer and restaurants. The prime positioning also benefits from a demographic with a high level of discretionary spending. Specifically, 39% of residents are aged between 20 and 34 years and are largely young professional couples with high individual and household incomes. Residents are reported to be spending up to 49% higher on retail items, food and beverage, and services than the Brisbane average, according to an Urbis study area of West End, South Brisbane and Highgate Hill. The residential population is also expected to grow to 32,260 by 2021 and double spending to $484,000,000 per annum on retail items alone. The Glass Factory, designed by Rothelowman, has been created to embrace its heritage, paying homage to the site’s original built form through a design that captures inspired industrial style in a boutique urban outlook on bustling Vulture Street. Turrisi Properties is an award winning property development company known for delivering innovative developments that engender a “sense of place”, with designs inspired to work in harmony with their surroundings. Turrisi will be adding The Glass Factory to a line of successful Queensland based creations.